One of the things that’s so fun about holidays and food is that you can have a WHOLE lot of fun making fun and festive things to eat. From simple to over the top gourmet and everything in between, there’s a way to add a little holiday to almost any recipe. 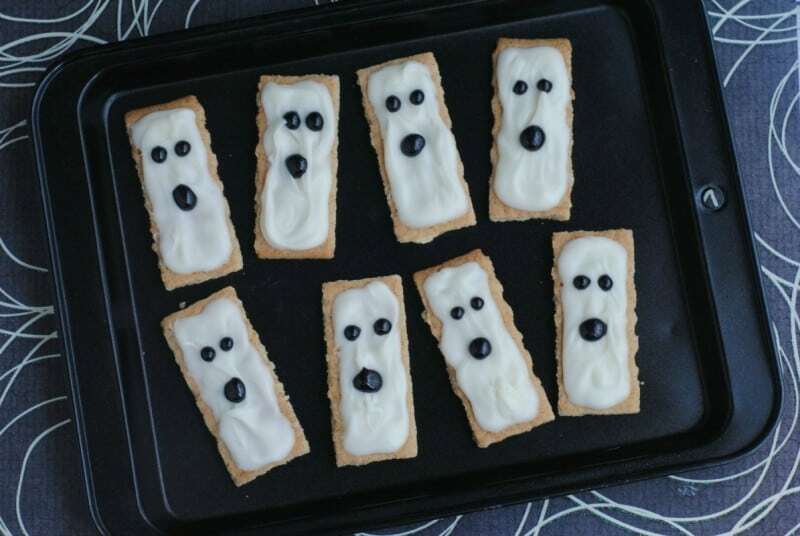 Two things added to plain old, regular graham crackers can make a BOO-tiful Halloween snack! 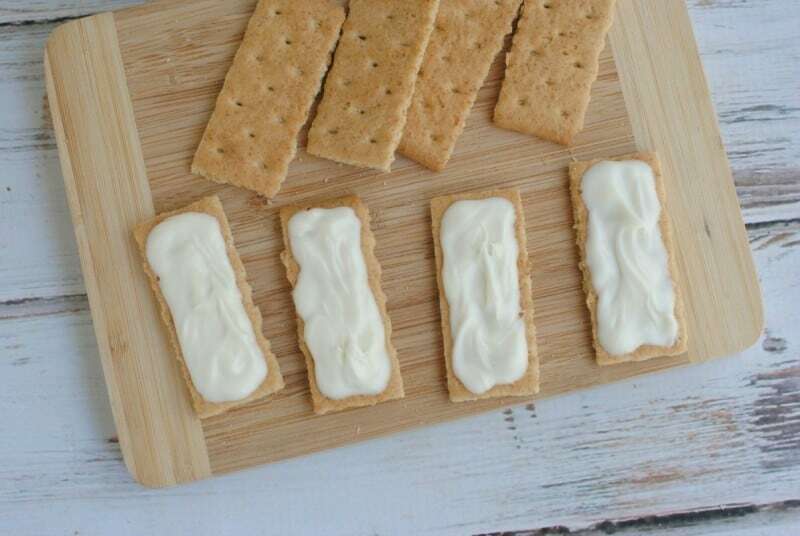 Ours is a sweet snack using frosting and icing gel, but you could just as easily take Club crackers, top them with some cream cheese and use black olives for the eyes and mouth. Not so spooky, but they’ll be thrilled with your efforts!! Pour the white chocolate candy melts into a microwavable safe dish. Heat in the microwave in 30 second increments. Stir every 30 seconds until melted. Allow the melted chocolate to cool a few minute prior to using. Using a small tablespoon, spread a little bit of melted white chocolate over each graham cracker rectangle and set aside to set. Repeat this step with all the graham cracker rectangles. 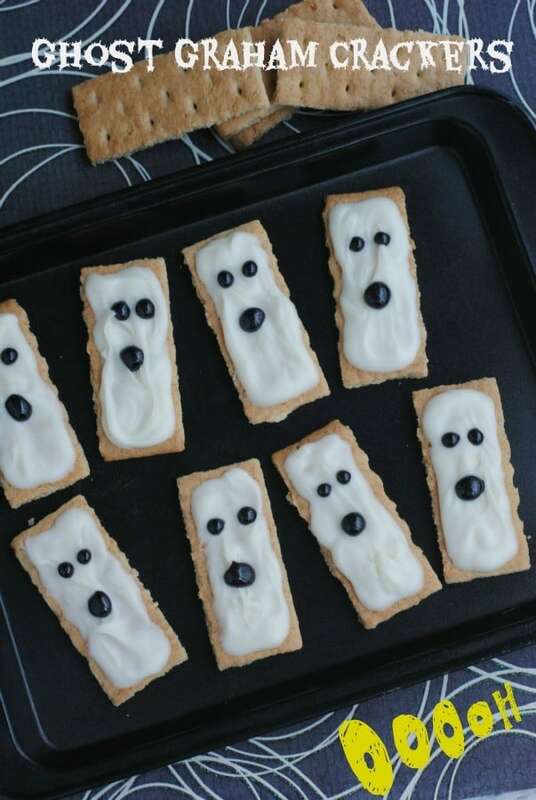 Once the white chocolate has completely set on each graham cracker, use the Wilton black sparkly gel icing to give each graham cracker ghost 2 eyes and a mouth. Pour the white chocolate candy melts into a microwavable safe dish. Heat in the microwave in 30 second increments. Stir every 30 seconds until melted. 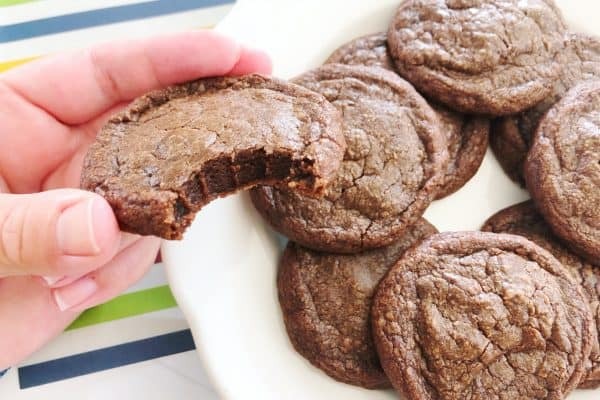 Allow the melted chocolate to cool a few minute prior to using. Fun and easy idea. I don’t know any kid that wouldn’t want a little sweetness added to their crackers. Thanks for sharing on Merry Monday. These are so simple and adorable! Pinning for later! I love simple things. 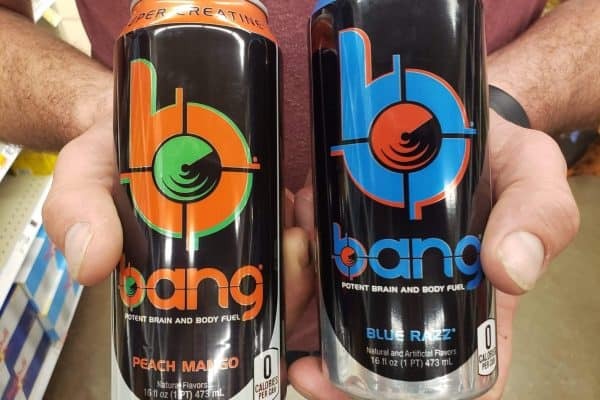 This is cute, easy, and has to be tasty. I do love graham crackers. These are truly adorable. I save simple ideas that I can put together for my grand daughters. This is perfect for them. Pinned and thank you for the idea. These are so cute!! Thanks for sharing at the #HomeMattersParty – hope to see you again next week. Love this cute and simple snack idea! Very festive and fun! I second the after school snack idea! These are way cute and my kids love graham crackers and frosting. Pinned! Thanks! 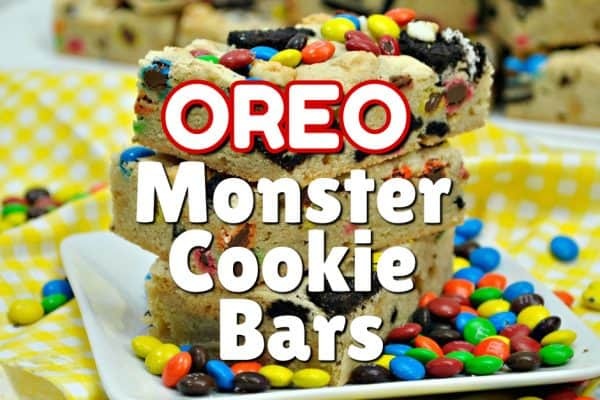 These are so adorable, I bet my kids would love these as an after school snack!